The following resources are provided by New Bedford real estate attorney Brian M. Glover to provide helpful links to people seeking information regarding Massachusetts real estate law. If you are buying or selling home in New Bedford or surrounding areas in Bristol or Plymouth County, such as Fairhaven, Acushnet or Dartmouth, contact Brian M. Glover for a free consultation and effective representation in your residential real estate transaction. Massachusetts Trial Court Law Libraries Title V Law Page – Massachusetts Trial Court Law Library webpage with links to Massachusetts Title 5 Laws, additional related regulations, forms, case law, and other web and print sources. Massachusetts Department of Environmental Protection: Water, Wastewater, and Wetlands Webpage – includes links to regulations and standards related to Drinking Water, Groundwater, Industrial Wastewater, Laboratory Certification, State Revolving Fund, Stormwater, Title 5/Septic Systems, Wastewater and Sewer, Water Management, Water Quality, Water Reuse, Waterways, Wetlands. The State Environmental Code Regulating Septic Systems – Standard Requirements For The Siting, Construction, Inspection, Upgrade and Expansion of On-Site Sewage Treatment and Disposal Systems and for the Transport And Disposal Of Septage. Use the Assessors Online Database to search property assessment data and appraisal information for homes in Dartmouth, Marion, Nantucket, Swansea, Taunton and many other jurisdictions. 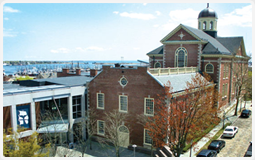 Find property assessment data for Fall River here. The City of New Bedford has a parcel lookup tool on its website. Search for parcels in Seekonk at the website for the Seekonk Board of Assessors. Search for parcels in Somerset at the website for the Somerset Board of Assessors. Search Bylaws and Ordinances of Massachusetts cities and towns here. The Registries of Deeds in each County of the Commonwealth of Massachusetts contain the recorded property records including Deeds, Mortgages, Tax Liens, and Attachments for each property located within that county. Links to all of the Registries of Deeds in the Commonwealth can be found on the Secretary of State’s website, in the Registry of Deeds Division. Massachusetts Foreclosure Law – This site contains laws, regulations and case law regarding foreclosure, redemption of mortgages, preventing unlawful and unnecessary foreclosures, challenges to title, foreclosure prevention options, foreclosure rescue transactions, and more. Mortgage Debt Relief Act of 2007 – This page on the IRS website provide information regarding the Mortgage Forgiveness Debt Relief Act and debt cancellation. AARP Reverse Mortgage Page – This page can help you understand what reverse mortgages are and whether you could benefit from a reverse mortgage. For more information, visit our page on reverse mortgage, or contact attorney Brian M. Glover for a free consultation.